Paul Duff & Will Kimble present The Art of Mandolin Construction. 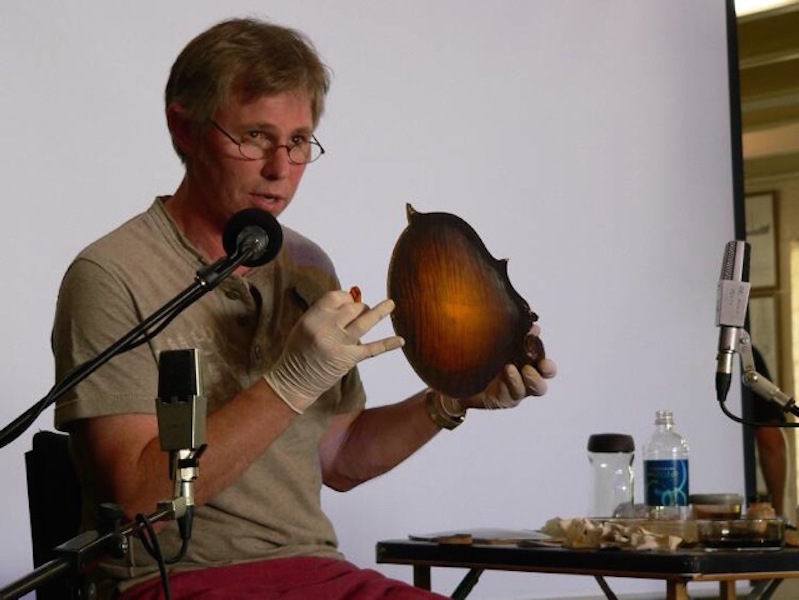 In this year’s Monroe Mandolin Camp there will be a special presentation by master luthiers Paul Duff Western Australia) and Will Kimble (Ohio USA). Will and Paul will perform this year leading up to “MonManCamp“. Attendees will be taken on a step-by-step time-lapse journey through the building process of a mandolin. You will hear and see how these luthiers approach the different stages of mandolin construction in a different way and order, giving you a glimpse into the meticulous thought, planning and patience that goes into every mandolin creation. Paul and Will will offer participants an intimate up-close and personal ‘hands-on’ tactile experience of the different elements that go into making their own ‘boxes of joy’: semi-carved top and back plates, rim assembly, neck blanks, peg head veneers, pearl inlays, etc.. They will each be available to answer the questions you have always wanted to ask about mandolin construction, and what special magic goes into them to make them sound different and have their own voice. There is so much more in store for you this year at the Second Annual MonManCamp. I heartily invite you to come be with us, and share in the celebration of the musical legacy of the Father of Bluegrass – Mike Compton. The camp hopes to provide—but can’t yet confirm—a ‘multi-media’ experience, with video of a couple of building processes.